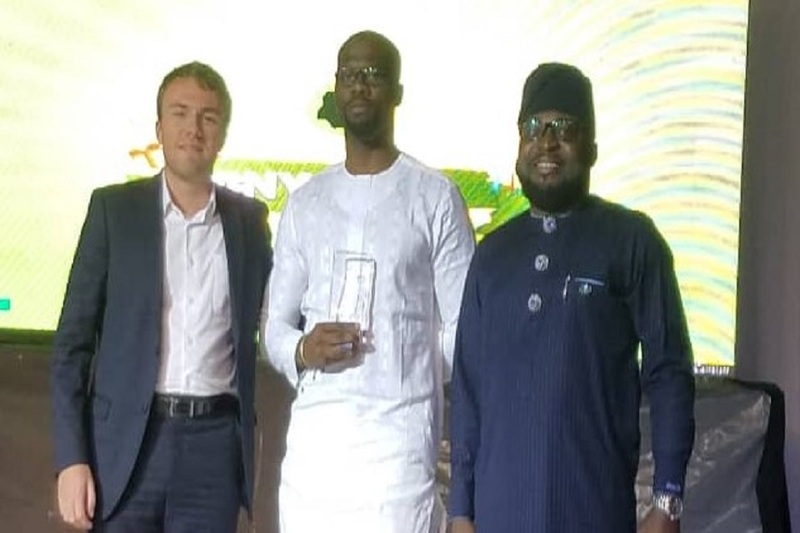 Heritage Bank Plc, Nigeria’s Most Innovative Banking Service Provider has been awarded for its Outstanding Contributions toward improving the lives of Young Business Owners in Nigeria at the 5th Anniversary Ceremony of the highly-rated Nigerian Young Professionals Forum (NYPF) Awards for 2018. The bank recently was bestowed with the “Best Bank of the Year Business Support/Entrepreneur Development,” at the Africa Value Award 2018; adjudged “Best SME Bank Nigeria 2018” by Capital Finance International (CFI.co) and “Agriculture Bank of the Year 2018” by the Nigeria Agriculture Awards (MAA). It was also honoured for being the Best CIBN Chapter of the Year 2018 in terms of members’ mobilization and participation as well as sponsorship of the Institute programmes; “Most Supportive Bank of the Year,” at the fourth edition of Green October Event 2018, organised by Alamode Magazine amongst others. Speaking at the highly-rated NYPF, Awards for 2018, a non-governmental organisation, in Abuja, MD/CEO of Heritage Bank Plc, Ifie Sekibo, who was immensely honoured by the award, said it speaks volume of the bank’s efforts to demonstrate its commitment towards developing and positioning youths to become world-class citizens equipped and ready to be absorbed into an increasingly competitive workforce. “One of the reasons why we chose, as an organization, to support the entrepreneurial growth and welfare of youth is to see young men and women play vital roles in the socio-economic development of the country and help curb the high level of unemployment,” sekibo said. The MD who was represented by Jubril Adeojo, Team Lead, Power Corporate Banking, said Heritage Bank is positioned to lead the recovery of the Nigerian economy through enhancing youth entrepreneurship development and engendering self-employment via its various initiatives and products. According Sekibo, the drive to continue in the support of youths was to create, preserve and transfer wealth across generations. He explained that the entrepreneur schemes of the bank in the support for business had always focused on dependable job-creating sectors, such as agricultural value chain (fish farming, poultry, snail farming), cottage industry, mining and solid minerals, creative industry (tourism, arts and crafts), and Information and Communications Technology (ICT). Sekibo, restated that the aim of Heritage Bank being in the forefront of youth empowerment is to emancipate the latent entrepreneurial spirit in the teeming youths, by providing adequate and affordable loans to execute their business ideas and, hopefully, migrate them to successful Small and Medium Enterprises (SMEs), thereby, providing the mechanism of stimulating growth, reducing unemployment as well as addressing youth restiveness in the economy. The Chairman of the NYPF, Moses Siloko Siasia, who disclosed that the NGO’s success stories and feats attained were made possible by the supports from Heritage Bank, while commending Sekibo who took it upon himself to support NYPF. He hinted that the forum, in the last five years, was able to make a lot of milestone achievements like providing employment for 780 unemployed youths nationwide. However, NYPF as part of events to celebrate its fifth anniversary, gave out honourary awards and scholarships to several dignitaries, and students, yesterday. All the award recipients, according to the organizers, were thoroughly considered and shortlisted in recognition of their meritorious service in support for nation building and advancement of democracy, development and good governance in Nigeria. Some of the beneficiaries of the awards are the Imam of Nghar Village, Gashish district in Barkin Ladi, Plateau State, Abdullahi Abubakar alongside Dr. Akinwunmi Adesina, President of AfDB, Dr. Nasir Yusuf Gawuna, Deputy Governor of Kano State, Senator Godswill Akpabio, governors Ifeanyi Okowa, Okezie Ipkeazu. Others were Senator Daisy Danjuma, Chief Osasumwen Igbinedion CEO, TOS TV Networks and Dr. Elisha Attai, Founder of AWLO and Hamzat Lawal, Chief Executive of Connected Development CODE, whilst Diplomatic award was presented to the Embassy of Spain, Nigeria.